Chip Z’Nuff is excited to talk to you about his new album ‘Diamond Boy.’ It took a few minutes for him to ‘warm-up’ as our conversation took place in the morning, which is not very ‘rock ‘n’ roll.’ When Chip got hot, it was like he was shot out of a cannon. That’s the Chip we know and love. “I’m so proud of the new album, the feedback from fans and writers has been overwhelming positive.” Z’Nuff goes on to say, “I listen to all feedback, even stuff that isn’t positive. People have their opinions, it’s good to have different perspectives on things.” ‘Diamond Boy’ [Frontiers Records] continues the tradition of catchy, melodic, poppy, groovy, guitar driven rock ‘n’ roll that we have come to expect from Enuff Z’Nuff. For those not aware, the current line-up is Chip Z’Nuff on bass and lead vocals, Tory Stoffregen on lead guitar, Tony Fenelle on rhythm guitar and Daniel B. Hill on drums. 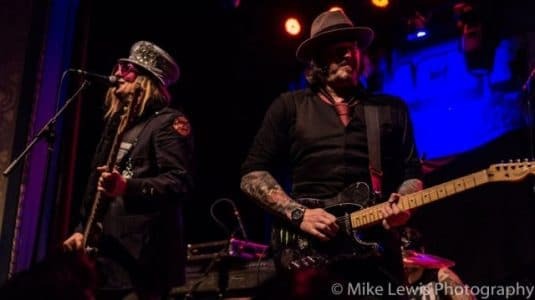 Sleaze Roxx: Having last seen Enuff Z’Nuff in February of 2017 opening for Ace Frehley at the Aladdin Theater in Portland, I was floored by how tight the band has gotten. I couldn’t wait to hear what you guys did in the studio and now the album has been out about a week. I read through the liners and it’s a collective team effort. Chip Z’Nuff: Well, that’s how you do things when you’ve been at it as long as we have, you know? These guys are veterans, I had the initial song ideas and I brought them down to the gang to listen to and they liked them. We proceeded to get into the studio to record. You know that rock n’ roll records start with tracking drums first. We headed to The Chicago Recording Company where Nirvana, Pearl Jam, Led Zeppelin, Cheap Trick and all the greats have recorded there. We didn’t have a huge budget, but we went in there and got it done. Our vision was to come out with a great ’70s rock n’ roll record. I think we achieved just that; a combination of hi-fi and low-fi. After we got done there, we brought the rest of the record to my studio and finished it there. Total time was about two weeks. Sleaze Roxx: How long have these song ideas that you brought to the guys been around? Were they ideas that had been around for while? Chip Z’Nuff: This is all an entirely fresh record. If I wanted bro, I could put out a new record each year for the next five years with all the stuff I have in the tank. So, there’s a lot of other material but I just didn’t want to go back. We wanted to create a simply organic rock record that we could replicate live without tapes or additional musicians. 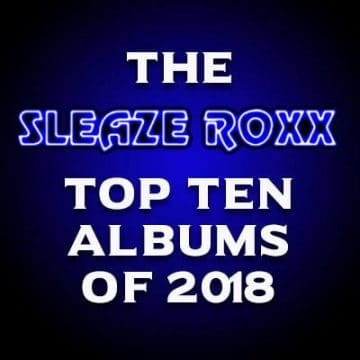 Sleaze Roxx: I really enjoy the album. I really love “Metalheart” and “Diamond Boy.” I think anything off the record could make the set and you wouldn’t disappoint. Chip Z’Nuff: We’ve been doing those two in the set actually. We didn’t pick what songs the label would release. I don’t know that even bigger bands get to do that these days. 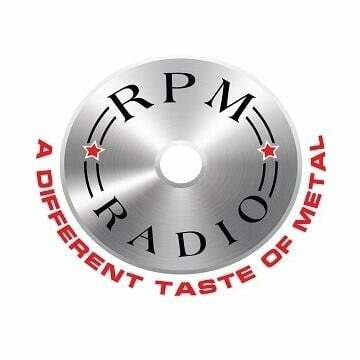 The label figures out they’ll be marketing the band and they select the songs and so and so forth. Frontiers are great to us. They’re fans before they are bosses. They want a great record that they can market. I’ll be honest, I was surprised on the reception “Metalheart” received because it wouldn’t have been my first choice. Subscribe To Be Alerted When We Add New Videos – http://radi.al/SubscribeFrontiers | From the album DIAMOND BOY. 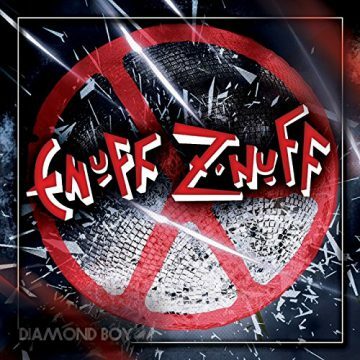 Get your copy NOW: http://radi.al/DiamondBoy Follow the “Newest From Frontiers” playlist on Spotify to keep up with all the new songs we release each week: http://spoti.fi/1rQz5Zm Connect with Enuff Z’Nuff: http://www.enuffznuff.com https://www.facebook.com/EnuffZnuffOfficial https://twitter.com/EnuffZnuff https://www.instagram.com/enuffznuffofficial/ Enuff Z’nuff are the living, breathing example of what a rock ‘n roll group should be. Sleaze Roxx: What would have been your choice as the first song to launch the record? Chip Z’Nuff: [Long pause] You know, it’s hard for me to go backwards. It doesn’t make any sense now because, what’s done is done. I would say, with a gun to my head…. I’d go with “We’re All The Same” because that song is all about what is happening in the world right now, not only in the music business, but in our country today. 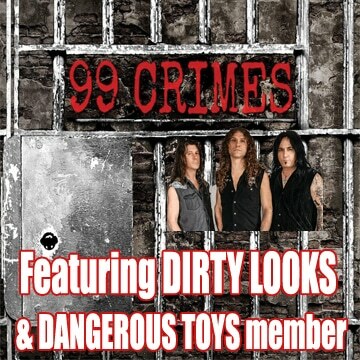 Sleaze Roxx: You’re going to head out shortly the Sirius XM Hair Nation tour, which will be hitting a lot of theaters. 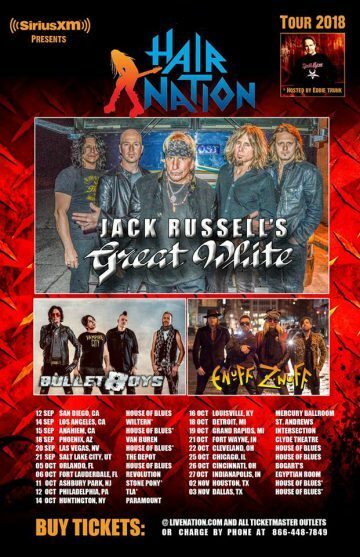 You’ll be out with Jack Russell’s Great White and the Bulletboys. Chip Z’Nuff: Yeah, we’re glad to be on board and part of the team. When Live Nation contacted us, we knew we needed to be a part of this. Some of the bands that they had contacted were bands like King’s X, L.A. Guns, Faster Pussycat and many more. Some had already stuff booked so they declined. Other bands declined for Lord knows what reason [bursts into laughter]! This is the first I have released a record in the last 25 years that I’ll be following it up with a big tour [laughs]! These opportunities are hard to come by these days. 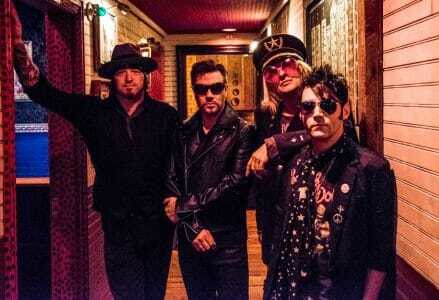 The last larger scale tour that Enuff Z’Nuff was a part of was in 2002 with Poison, Quiet Riot and Warrant. We did arenas and the was our last run of debauchery and promiscuity [laughs]! The Hair Nation Tour is a great way to follow up the run we had with Ace Frehley last year, which got us into theaters and larger rooms. Jack Russell and the guys are headlining because they’ve sold like 20 million records over the course of their career. I’m so grateful that we were asked to be a part of this. Also on the bill are the Bulletboys who we’ve toured with a lot with over the years. We’re also excited that Eddie Trunk will be hosting some select dates on the tour. As you know, he has a weekly show on Hair Nation channel 39 and a daily show on Volume 106. Anyone that embraces the ’80s ‘Sunset Strip’ sound will have a great time at this show and it is very affordable, so it won’t break the bank! I’m so excited to play the ‘Diamond Boy’ record for people. I wish the tour started today [laughs]! Sleaze Roxx: When I saw you last on the Frehley tour, you guys jammed through three off the debut, two off ‘Strength’ and your cover of “Jean Jeanie” which for the die-hard fans — we could have used a deep cut or two, but understandably you had to do the hits. Chip Z’Nuff: Oh, thank you. 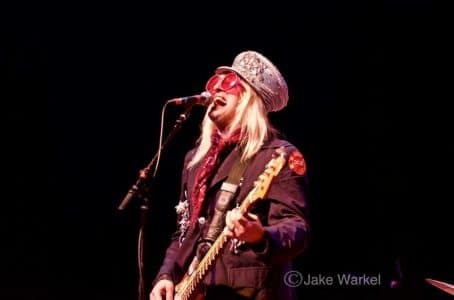 I think that tour was a great test for Enuff Z’Nuff. 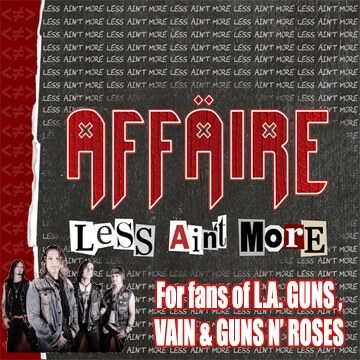 We had done the KISS Kruise and we got the call from Ace’s camp asking if we wanted to support Ace on 30 dates? Are you kidding me? Of course, we’ll do it! How many opportunities like that do you get these days? I gladly accepted. Sleaze Roxx: On this run on The Hair Nation Tour, do you know how much you’ll be allotted and how much of the new album will you sneak into the set? I’m not asking for you to give away what new stuff will be in there, because I’m one that subscribes to the element of surprise when it comes to setlists. Chip Z’Nuff: That’s kind of you and I think, you’re absolutely right! On this tour, we’re not going to use a tour bus. It’s like $1,000.00 a day to keep it on the road! We’re not even using a road crew this time around. We tried that for the first initial dates of the Ace tour and our crew did more cocaine than some of the bands did back in the ’80s! So we sent them home and loaded in our own gear for the rest of the tour [laughs]! I was kidding about the cocaine part. Nobody parties like that in this band or on this crew. We’re going back to square one. We’re using a van and pulling gear in a trailer. We’ll do an hour set. As you said on the Frehley tour, there were songs we had to play and when we had a short set like that, you got [to play] the main hits. I’d love to play the whole record if I could. We believe that much in it. I’m not trying to sound immodest or anything, but we feel that strongly about the new album. We’ll do two-three off the new album and mix things out throughout this tour. We’ll be doing shows with the Bulletboys on off nights from The Hair Nation Tour. We’ve never done meet and greets before but we’ll be offering those on this where we’ll have fans watch three songs at soundcheck, then get to hangout with the band for a little bit. Can I take a moment to talk about the guys in the band for a minute? Chip Z’Nuff: I have some ‘big leaguers’ in the band right now, so I feel the need to brag a little bit! I have Tony Fenelle on rhythm guitar. He used to be the former singer of Ultravox. He also had a band called Big Noise. He’s played all around the world! This guy’s is a veteran! He’s from Birmingham, England. He’s a real star! I have Tory Stoffregen on lead guitar. He’s been with me for over ten years now. He’s done tons of stuff with me. He was in a band called Black Mollys. He moonlights in a band when he’s not doing stuff with Enuff Z’Nuff called New Black Sevens. They’re terrific! Tory’s a great singer and guitarist! Rounding the band out on drums, we have Daniel Benjamin Hill who played with a band out here in Chicago called Super Big. He’s a great drummer and songwriter! I feel that collectively, we bring a lot to the party here! Sleaze Roxx: Daniel Hill is the son of ZZ Top’s Dusty Hill, right? Chip Z’Nuff: [Long pause] He doesn’t like me talking about that. He’s an illegitimate son is what the rumor is right now. Sleaze Roxx: In between the Tonic Lounge show [Portland, Oregon] and the two Aladdin Theater [Portland, Oregon] shows opening for Ace Frehley, there was another show that didn’t happen. I was going to make that show, but caught a Facebook clip. At first, I thought it was a skit. It was shot in the back seat of the van. You had a teddy bear that looked like ‘two face’ from the Batman movie. Anyway, you announced that the show was canceled and you laid into the promoter regarding the cancelation of the show. Chip Z’Nuff: [Long pause] Well, if I said anything derogatory at the time, I certainly apologize because I was caught in the heat of the moment and that probably wasn’t my best judgment at the time. When we head out on the road, there’s ‘hiccups,’ where there’s a show that supposed to go on and for whatever reason, it doesn’t happen. I do remember what you’re talking about, now that my head is a little clearer. That was a great moment because thousands of people got a peek at what sometime happens on the road! My wife is shaking her head in that because she knows what happens on the road, should stay on the road [laughs]! It’s funny that you remember that, because it must have made an indelible mark on you [laughs]! I think the promoter and I are cool now. I forgive but I don’t forget, which is how it is in this business. Sleaze Roxx: I just couldn’t stop staring at that teddy bear, man! Speaking of making an indelible mark, when I say you guys in Portland last time around, it was in February of 2017 and it was the week after The Atlanta Falcons lost in The Superbowl. I was wearing my Atlanta hat and I was standing toward the front of the stage and you saw the hat and you looked over, crossed your arms and mumbled “What happened? !” I gotta say that was quite funny. It made the loss a little easier to take I guess? Chip Z’Nuff: [Laughs hysterically] I’m sorry for your loss [laughs]! Being from Chicago, I’m a sports fan. I know how passionate we can get about our teams [laughs]! Don’t think I don’t follow sports too [laughs]! Sleaze Roxx: How were you able to keep the peace with Mancow and with the [Howard] Stern camps? Early in, Enuff Z’Nuff’s career was during that time where Stern would ‘go to war’ with all these other jocks and you maintained a relationship with both camps. Chip Z’Nuff: It’s real easy. You just be yourself and you keep those two away from one another [laughs]! I did a show there in Chicago where I brought in a lot of my friends on. I brought on Zakk Wylde when he released his first record and also Ace Frehley. I did it to help my friends in hopes that down the road, if we needed any help in promoting our music, they’d do the same. Howard Stern is one of the most loyal cats in the business. I was on Howard’s Wrap Up Show last week. In 1989, going on his show totally changed the trajectory that the band was on. It gave us a tremendous boost and for that I will be eternally grateful. Listen man, I love Portland! I love your food, I love your record stores. I love your doughnuts. I love your women and it’s a city that really embraces rock n’ roll. It’s seriously one of the best places that I love to play at in North America! I love the Jupiter Hotel! Love staying there. We’ll make it back your way man. We’re taking this choo-choo train all around the country.